Bristle at Customer Complaints? That’s the Last Thing You Want to Do. You may be tempted to view negative feedback as a nuisance. But, if you respond the right way, it’s a gift. The other day, at JFK airport, I watched as a fast-food outlet got everything wrong. What caught my attention chiefly wasn’t the host of mechanical breakdowns, but the failure of the workforce to respond with any hint of ingenuity or resourcefulness. Customers that might have been mollified were ignored, infuriated, and resentful. A bad situation was made far worse by the nonchalance with which service personnel responded. I thought of writing to the company to explain just how badly everything had been handled. But I didn’t. Not because I minded the effort but because, on consideration, I don’t really like the company, its food, or its strategy. If I were going to spend time on a complaint, I wanted that to go to a business I’d like to see thrive. It struck me then that a complaint is a gift. If a customer is willing to invest the time and effort required for a coherent complaint, you’re lucky. You’re learning from the frontline what is really going on and how it plays to your market. While it may be human nature to trivialize negative feedback, don’t. Recognize it as a value insight into what’s really happening. I remember once writing to an airline to complain about a particularly horrible trip. I got a fantastic response which I remember to this day. It started with the words, “Thank you for your complaint,” and went on to say how useful it was for an executive, stuck in an office, to know what was being done in the company name. That, and a host of other things, made me a loyal customers for years. 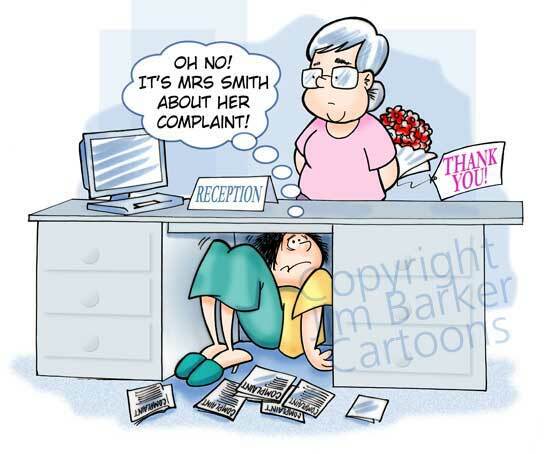 So the next time you get a complaint, don’t throw it away or dismiss it as an annoyance. Treasure it. This entry was posted in CMCA, core competencies of community association management by CMCA ~ The Essential Credential. Bookmark the permalink.